It's A Smalls World After All. More Fresh Finds. Nothing substantial to report here. I just thought I'd take a few moments to share with you some of the smalls I picked up recently. I thought it was a pretty decent haul. What say you? We picked up this Swedish coffee table on a recent trip to see family in another part of the state. It happened to be at a little thrift/antique store in a town on the way. We actually had visited this store once before and were able to come away with some pretty great pieces of furniture. Given that we were in the neighborhood, we decided we'd try our luck once more. As you can probably tell from previous posts here on Oh My Mod, the pieces that we have picked over the years have been aimed at our living room. While this has provided us with the means to put together a pretty great living area, it has left our bedroom looking rather neglected. 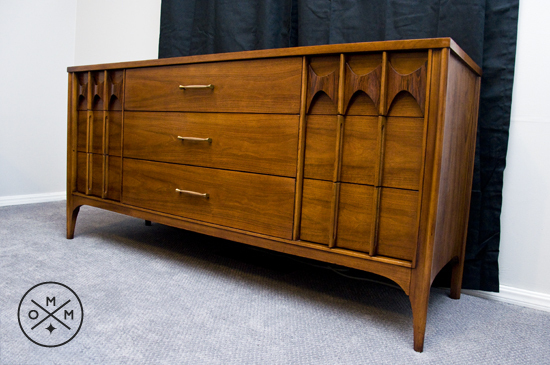 Recent acquisitions of significant value have been targeted as items for trade that will hopefully address our less than stellar bedroom furniture. But that doesn't mean that I have stopped looking on my own. Oh no siree. I'm always on the lookout and I am happy to report that I recently netted us this nine drawer dresser from the Kent Coffey Perspecta line. 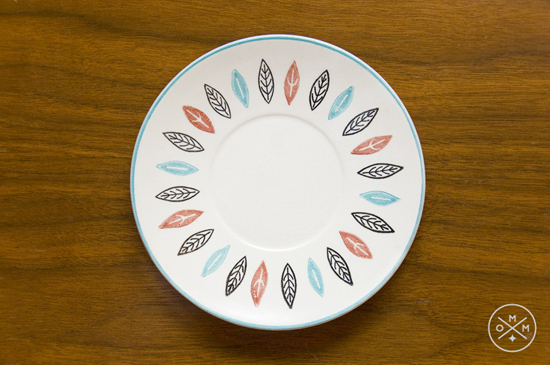 Feast your eyes on the most recent, and oh so sweet find from the Oh My Mod house! It's OK, you can blink a couple times and rub your eyes if necessary. But let us assure you, there is nothing wrong with your computer screen. Do not attempt to adjust the picture, because we are controlling this transmission and it is most definitely filled with fantastic mid century modern dining chairs. Adrian Pearsall for Craft Associates (1613-C) to be exact! 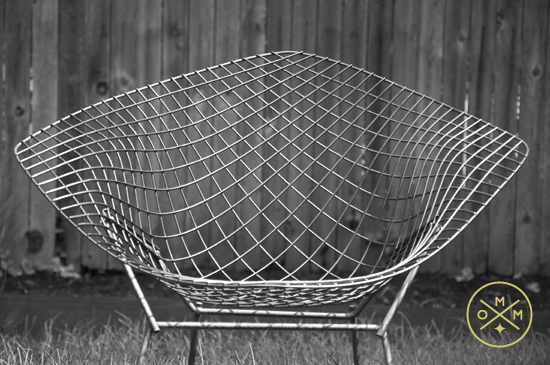 Diamonds in the Rough: The vintage, mid century modern variety. This is a bit of a past meets present post. A few months back, I was driving around the city while K was away for the weekend. At the time, I had been in another small slump as far as finding anything of substance. I had visited all the normal haunts and even resorted to stopping by a few garage sales, but it looked like I was destined to have another fruitless hunt. I had just decided to give up and head back home when I happened to spot something out of the corner of my eye in the backyard of an unkempt house. I couldn't be sure, but I suspected I had seen a potential treasure. 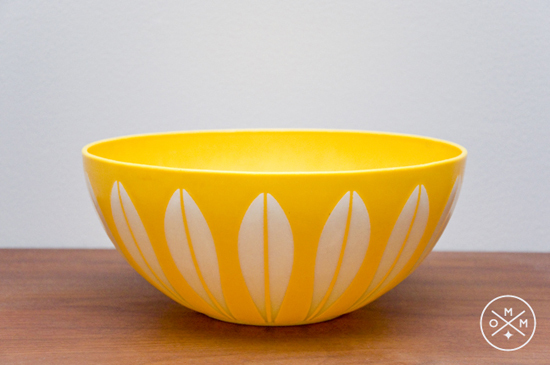 Do you know what I love more than vintage/retro items? Free vintage/retro items! I spotted this next to a dumpster behind a local thrift store and had to take a quick shot to share with those of you who might be interested in re-purposing this retro record console that has been stripped of its speakers. This could be a quick fix MODerators. There are tons of options for covering up the spots that previously held the speakers or you could cover the back and build in some quick shelves. Voila! Instant TV stand with vintage flair. Located behind Value Thrift. 11th and Memorial. 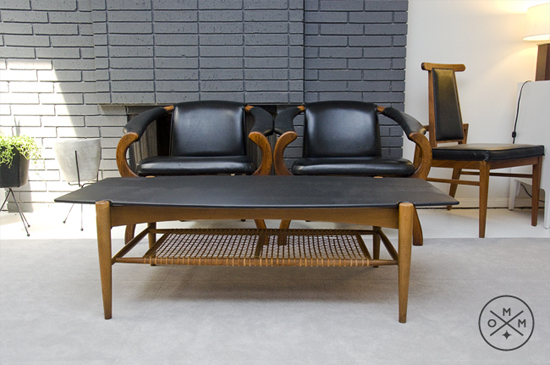 Mid Century Smalls: A Fun Fix for a Mid Century "Junkie"
When it comes to hunting for vintage and mid century items, I've typically stuck to searching for the larger items and forsaking the smalls. That's not to say that I have no interest in smaller items, but bigger ticket pieces have always seemed easier for me to find. 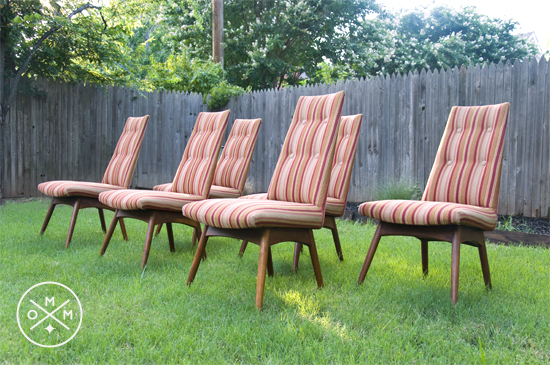 I've know of other blogs and local shops who have fantastic smalls, but since I'm not a regular visitor of estate or garage sales, I figured my time would be better spent on the vintage sofas, lounge chairs, dining sets and what not. Not to mention the fact that space is already pretty limited here at the Oh My Mod house, so piling up a bunch of little odds and ends may not be the greatest idea for a happy home. It's far too easy for a vintage lover to get sucked in by the charm of smalls, so for quite some time I told myself that I wouldn't get caught up in that game.